What do you get when you mix three of Japan's most accomplished videogame personalities? 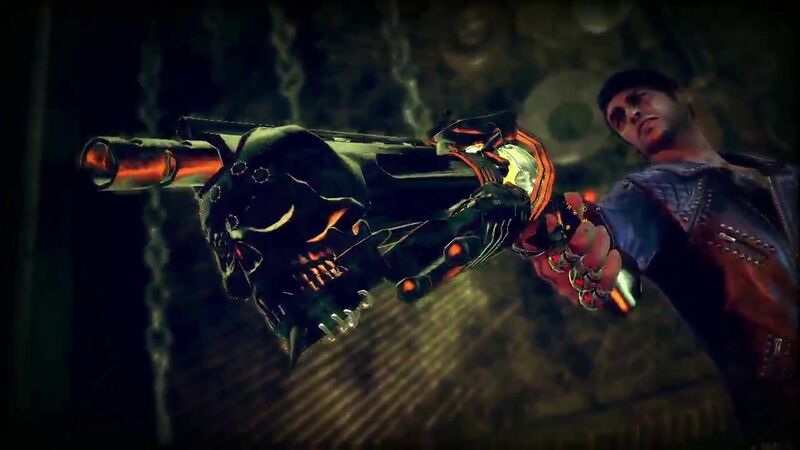 Goichi Suda, Shinji Mikami and Akira Yamaoka have come together to create the ultimate adrenaline fueled ride, straight through the bowels of hell. You play as Garcia Hotspur. The name is amazing, but the guy will blow your mind. He has a crude mind, filled with dirty jokes, crazy insults and a lot of toilet humour. When hell gets pissed off with Garcia for killing too many demons, the demon in charge, Fleming, decides to take what is most precious to him, his woman. Paula is dragged to hell and the only way to get her back is to follow her in. Hell is not the typical lava filled wasteland, but instead resembles an old European town, complete with a picturesque castle. On closer inspection, it's not so pretty as corpses, limbs and lots of blood decorate the town. The graphics are pretty good, and the small details really show off the Unreal engine's capabilities. Soon enough, the demons attack and you get a chance to experience the combat. You have a number of weapons, but they are all technically the same. Johnson is your sidekick, an ex-demon who accompanies Garcia on all his crazy adventures. He is mainly a torch, but can transform into pretty much anything. Most importantly, he can change into weapons. Primarily you will use guns to dispose of the demons, with the odd melee hit to buy yourself some time. Melee hits also dispel the darkness on a demon. The darkness is what you really need to be careful of. To get rid of the darkness in an area, you must use a light shot on a goat's head, which illuminates the area. This gives an idea as to how insane this game is. The checkpoints are even more messed up. A single eye with wings snoozes, until you approach it. At this point, it awakens suddenly, fires out a steaming crap and flies away. And there's your checkpoint. It doesn't make any sort of sense, but it doesn't need to. The boss fights in SotD are epic. Similar to Zelda boss battles, you must find and exploit a weak point. Usually a vial of blood stored on their bodies is this weak point, so find it and attack it. More often than not, the weak points are only vulnerable when Garcia is in darkness. In one battle, this darkness comes from a horses back passage, along with a fart sound. The humour is very adolescent, but the game overall is definitely targeted at adults. It is gory, challenging and at times genuinely scary. The only problem with the game is the movement. In the same league as Resident Evil, simply moving the character around feels more like you're driving a tank. Clunky, slow and awkward, especially when there are enemies approaching from all sides. The atmosphere is great, the script is top notch and the characters are fleshed out with very clear personalities. 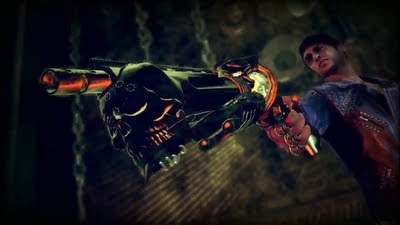 If Tarantino were to make a B-movie style game, it would not be dissimilar to Shadows of the Damned. It's raunchy, camp as hell, so much fun to play and whilst there are some minor flaws, it's definitely worth your time.